December, in all its wintry glory, is finally here—and what better way to ring in the season than with a few show-stopping styles? 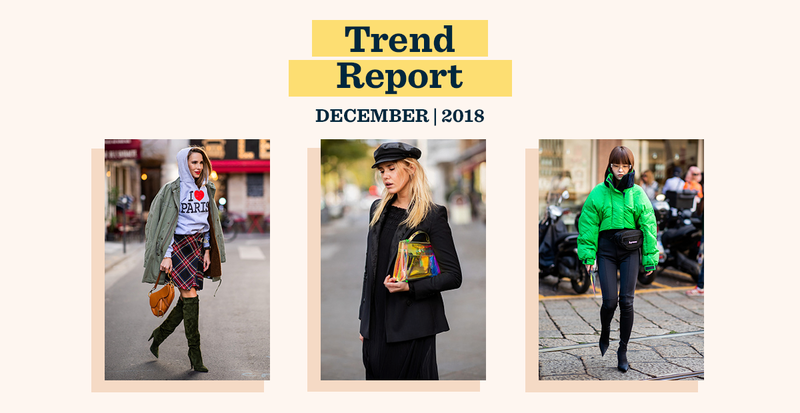 Read on to see which three trends we’re most excited about this month. Nothing says next-level shine quite like the mesmerizing, pearly iridescence of holographic hues. 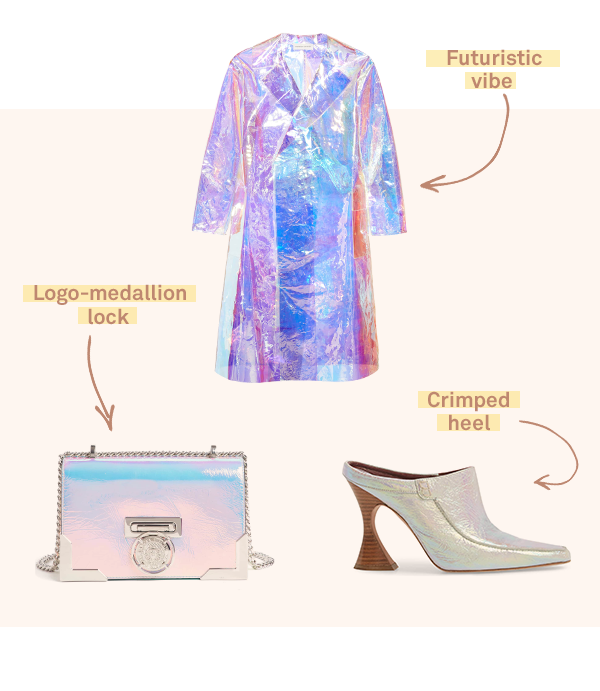 This magical trend is not for the minimalist, as the in-your-face prismatic color story is anything but subtle—like on this trench coat. If you’re unsure about the trend, begin with simple, low-commitment accessories such as a bag or shoes. Whether you’re on the mountaintops or simply hitting the town, one thing is true: You don’t have to be at a fancy ski resort to dress like it. We’re calling this one “Aspen chic”—think sporty sunglasses, logo beanies, and bold, colorblocked puffer jackets. Wear them one at a time, or all together for a look that’s warm enough for the slopes and cool enough for the streets. They say everything old comes full circle. Maybe that’s why we’re so excited about the comeback of plaid minis. 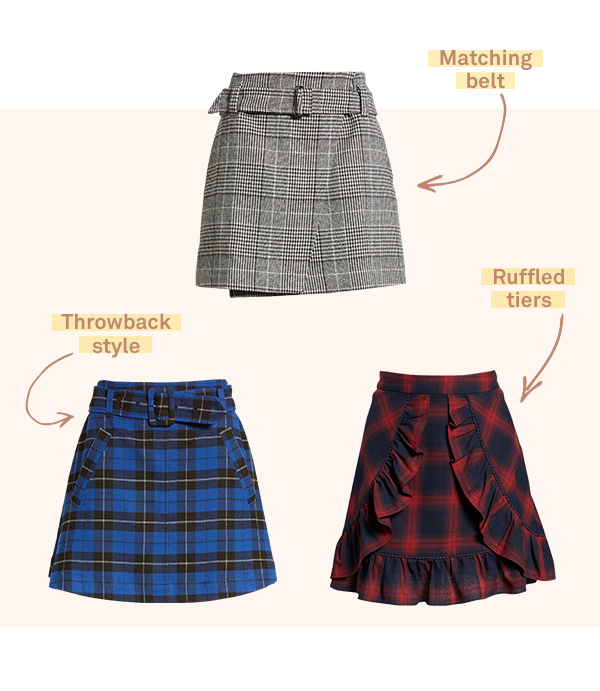 These preppy, Clueless–inspired styles were major in the ‘90s, and are having a resurgence on runways and in street style alike. Look for them in unique color combos for a modern take, and wear them with a cozy knit, booties, and tights on a particularly chilly day.